American University has expanded their STEM educational programs to out of this world projects. AWOL staff had the opportunity to speak with the AU physics department to discuss their newest focus: the AU Thin Sat project. Dr. Cyndee Finkel, a professional lecturer in the Department of Physics, is spearheading a new project as part of the AU Thin Sat project. 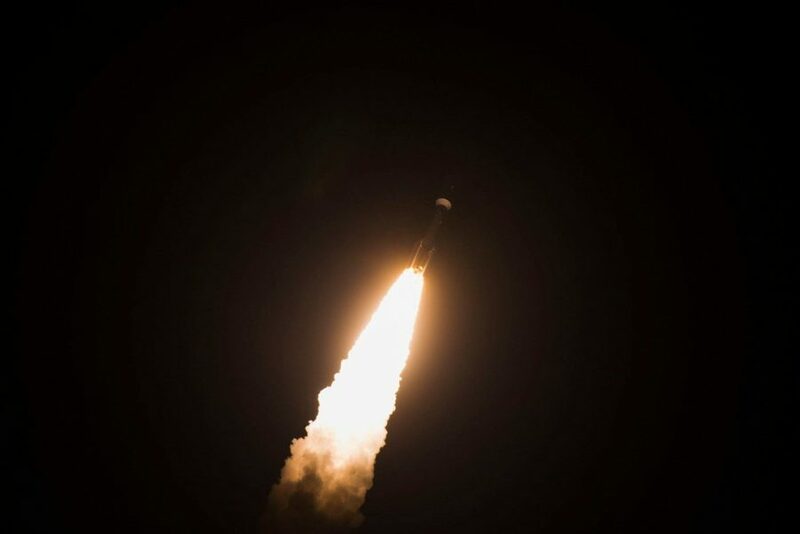 Collaborating with the Virginia Space Agency and the research organization Xinabox, they have started a project to help students launch satellites into space. Through this initiative, students have the opportunity to learn about — and create — cubesats, which are small satellites, approximately 10 centimeters long. American University students can help collaborate on this project by either participating in the engineering and design of thin sats or through outreach activities to engage students in local middle and high schools. The AU Thin Sat Project has partnerships with local schools in the District to help those students also launch satellites into space, beginning in October. Participating schools include Woodson High School in Anacostia, Hardy Middle School, and Saint Elizabeth’s Middle School. “We’re engaging with local schools by visiting every two weeks and providing a small teaching component along with hands on experience for creating actual satellites,” Dr. Finkel said. The engineering initiative has three phases. The first phase includes receiving sensors from the VA Space Agency and practicing with party balloon launches. The initiative will then test their satellites with high altitude balloon testing at VA Space. Finally, using feedback from their test trials, they will develop a finalized engineering model to send into space. The thin sats will be developed utilizing ultraviolet light sensors sensors and magnetometers, instruments to detect the Earth’s magnetic pull. They will be launched at the Maryland Eastern Shore and can be tracked real time to evaluate the effectiveness of the space exploration trip. These satellites will be developed during the entirety of the school year and then sent to the VA Space Agency in June. The satellites will later be launched in November 2019. The thin sats will orbit for 5 days, collecting specific information for the project, with a maximum life span of 12 to 15 days in space. American University became involved with this project through Fred Bruhweiler, AU’s Physicist in Residence. He promoted his department’s involvement through his connections with the Institute for Integrated Space Science and Technology, an AU institute founded in 2017 to promote STEM-related education in space-related fields. This project is an opportunity for anyone passionate about space exploration as well as learning and teaching about engineering concepts. Taylor Sabol is a senior studying public health.